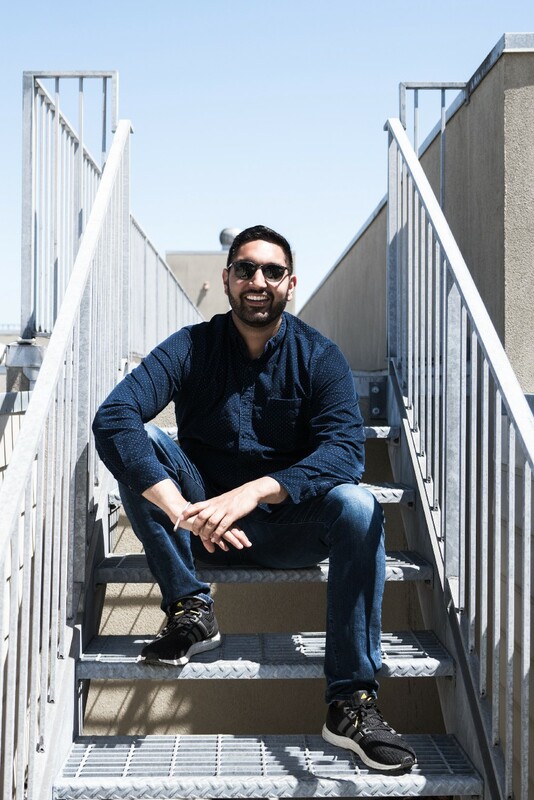 As a part of my series about the strategies that extremely busy and successful leaders use to juggle, balance and integrate their personal lives and business lives, I had the pleasure of interviewing Karn Saroya, CEO and Co-Founder of Cover, an mobile first insurtech startup based in San Francisco. Karn holds a Bachelor of Commerce from Queen’s University and a Master of Finance from the Massachusetts Institute of Technology where he attended as a Fulbright Scholar. He is also a Y Combinator Fellow and Alumnus. Thanks for having me! I grew up just outside of Toronto and, although I’m currently based in San Francisco, I still consider Canada to be home. After university, I began working as a management consultant at Oliver Wyman. I was on my way to a very traditional career trajectory and grateful for my role, but wasn’t really feeling fulfilled by my work. Then, in what feels like a bit of a whirlwind, I ended up attending MIT as a Fulbright Scholar; co-founded an e-commerce fashion startup called Stylekick; and wound up joining Shopify when they absorbed our team. Then, my co-founders and I applied to Y Combinator (for the 5th time! ), we moved to California within a month, and that’s when Cover’s journey really began. We’ve had our fair share of surprising moments since starting Cover, but there’s one moment in particular that comes to mind. After YC Demo Day, one of my co-founders, Natalie, and I were on the cusp of closing our seed round and were taking meetings in San Francisco. At the time, we were living in Santa Clara so we weren’t familiar with downtown SF, but we rented a car and made our way to meet potential investors at Tencent. So, we parked and Natalie went to run some errands while I pitched. I was confident that we’d close the deal (we did!) and I left the meeting on a high. We were so close to getting the capital we needed to continue growing Cover. At this point, my co-founders and I were living together, not paying ourselves a salary and making a conscious effort to be frugal but we did budget a couple hundred dollars to celebrate the closing of our seed round. Little did I know that while I was in the meeting, Natalie had returned to the spot where she parked to find it empty. We didn’t notice the street cleaning rules and our rental car had gotten towed. To Natalie’s credit, she stayed calm, located the impound and made her way there to bail the rented hunk of metal out of jail. Our small oversight resulting in losing a big chunk of money, approximately $500. More than what we had budgeted for our celebration. So, we took a trip to Target for snacks and cheap tequila, and that’s how we celebrated closing Cover’s $3M seed round. The juxtaposition was hilarious to us. My biggest challenge has probably been adapting to new roles as Cover grows. I wouldn’t say that I’ve overcome the challenge yet since it really is a continuous learning process as we scale and my role evolves. That’s why I strongly believe in building a peer group that you can leverage. I’ve come to depend greatly on the experiences (successful and otherwise) of the entrepreneurs around me. There’s no textbook that teaches you how to tackle the challenges that impact your specific business and I’ve found it much more conducive to learn by doing. With our first business (Stylekick), we tapped out at 14 people total and now, at Cover, we have over 40 people between our Toronto and SF offices. This business is drastically different from the last and though we certainly learned from our mistakes the first time around, we’re always looking for ways to improve. As a co-founder, you’re in the trenches running growth testing, building product and making sales; you’re doing anything and everything to push your business forward. But, as we hire more people to take on the bulk of those responsibilities, my role has shifted into something much different. As CEO, my main responsibility is to build a sustainable organization and that means paying attention to product and people. To me, leadership means being honest and objective with myself about what I need to do, what our team needs to do and how I communicate those goals. As CEO, there’s no benefit to shirking responsibility so it’s important to prioritize goals, communicate and execute. Leading by example and reflecting constantly is essential to be a good leader, in my opinion. I’m not on the phone making sales or handing business development anymore so my role has really evolved into being a people manager. I make a conscious effort to empower individual leaders and folks we think are going to take on substantial roles at Cover in the long run. We also prioritize providing access to the resources they need to learn and succeed. One key element of my leadership style is to have one-on-ones with my team as often as possible, too. I do my best to make their jobs easier and help alleviate pain points. In terms of inspiring the team, I think about my job as continuously selling the vision for Cover. Not only for investors and customers, but for Cover employees. I work hard to outline what we’re building and provide clarity on the direction we’re heading so people can understand why they’d want to work on this product at all. The special thing about startups is the magic of building something from nothing and I want everyone in on it. One of the most influential people for me, especially early on, was Ryan Peterson of Flexport. He was one of our early advisors during YC and he really drove home the necessity of setting reasonable expectations that would enable us to deliver on the promise we made in our YC application pitch. As a solo founder, he’s a force of nature in and of himself and his perspective was very eye-opening. Ryan made sure we understood that nobody will ever know our business as well as us–that our main value to the company will come from that elevated knowledge and understanding. And that, ultimately, we would be the ones to figure out what needs to be solved to make the business work. Over time, his advice has only become more relevant and we’ve come to recognize how instrumental he was in our journey. We’re also particularly grateful to Arjun Sethi, partner at Tribe Capital and our lead investor. He has tons of war stories that have been really instructive. Danny Zhang (CTO & co-founder of Wish) has also given us great practical advice. He helped us internalize how important it is to locate problems early, solve them and move on. It wasn’t easy at first. When we started Stylekick, I spent months sleeping on a friend’s couch in SF and today, I still work nearly 7 days/week. In the early stages, it’s very difficult to separate personal life and business. I mean, between the seed round and series A, you’re really just trying to validate the business and it gets even harder after series B because you’re trying to grow sustainably and meet ambitious goals. In my life, I don’t feel there is a clear delineation between the two and I’m okay with that. I think it depends on the person but I’d take working on something meaningful every day over sitting in front of an excel spreadsheet for 100 hours/week. I do feel now that I’m comfortable not having a huge difference between work and my life outside of work. Expectations are higher post-series B so I’d say so. We have a higher headcount, we’re always working on validating features, making more customers happy and building the scaffolding to accomodate a larger business, so there’s a lot to think of. The nice thing is that, at least in our business (insurance), there are a discrete set of things we need to execute on to be successful and we’re able to focus on those things with little ambiguity (distribution, regulatory overhead, product experience etc.) . Earlier on, there’s more pressure to prove the viability of your idea but once you have the ball rolling (and you have some money in the bank), you’re significantly de-risked. Firstly, I think any leader needs to accept there are ebbs and flow to work-life balance and achieving balance isn’t always possible. Sometimes, particularly during the early stages of a startup, one needs to take priority over the other and that’s okay. I’d also suggest that there isn’t a one-size-fits-all rule for work-life balance; it’s more about finding what works for you as an individual. For instance, I’m happy to spend the bulk of my time building my company but I wouldn’t judge someone else for wanting to prioritize starting a family or traveling the world. Don’t feel guilty for working more than what people expect from you; just work as hard as you feel comfortable with (as long as it still allows you to reach your goals). Time management is key. Make sure you are getting the most done with the time you spend working. My most useful productivity tool is the simple, age-old list. I don’t use anything fancy, just the Notes app and a rank ordered list. Truly make the most of your downtime. My favourite way to unplug, if only for an hour or two, is by going to the gym. I used to go 5–6 times a week pre-Cover but since my workload has picked up, it’s more like 2–3 times a week. The gym is one of the only places that I feel like I can really clear my mind. In general, I think any form of self-care is an effective use of downtime. Lastly, I think having the support of family and friends is pretty vital. Having their buy-in has allowed me to focus all my energy towards the things that motivate me–it’s nice to know that they’re supportive regardless of how “balanced” my life seems. I don’t think I’ll feel true accomplishment until the vision I have for Cover comes to fruition. The size of our team, the capital we’ve raised, those are all vanity metrics. That said, I do appreciate being able to wake up and work on a challenging, unstructured problem every day. It’s a privilege to work on building something new that I believe in. If I was a person of great influence who could inspire a movement, I’d want to focus my attention on building out sustainable, practical and affordable housing. I’m a big proponent of modular, manufactured housing and I think there are better ways to house and move people. It’s possible to have people living away from major city centres while still affording them easy access to jobs and adequate shelter. I think it’s an area that is widely neglected and I’d encourage building infrastructure to accommodate technology, like autonomous vehicles, to facilitate the integration of these communities.